1929. 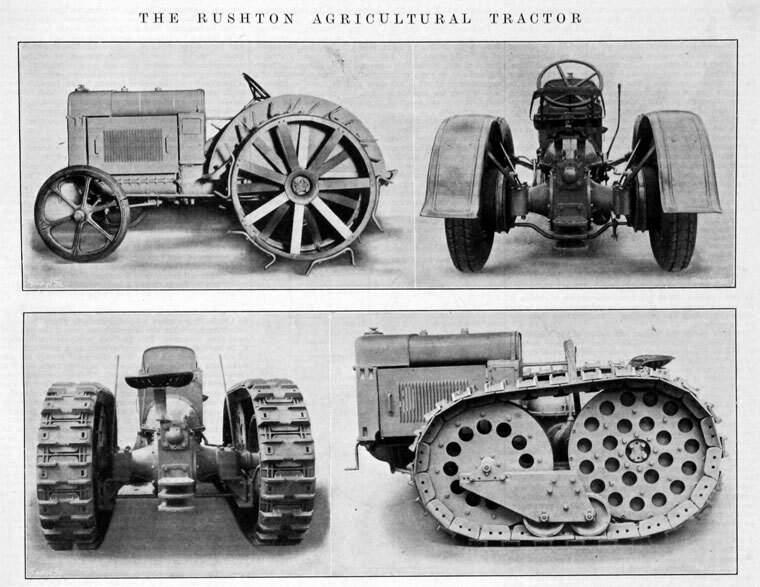 The Rushton Agricultural Tractor. 1928 AEC built prototypes of the Rushton tractor before it went into production. 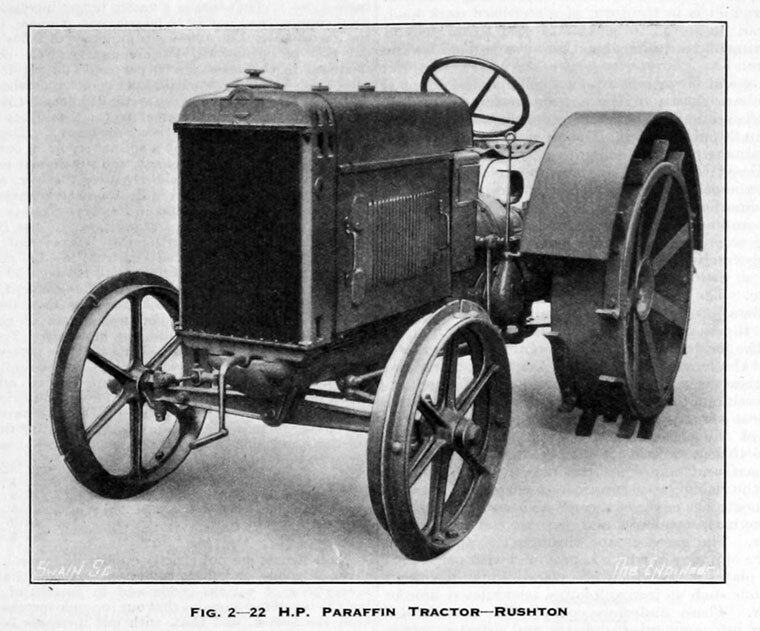 George Rushton intended that his tractor would compete with the Fordson and proceeded to copy the Fordson but it turned out to be heavier and more expensive. 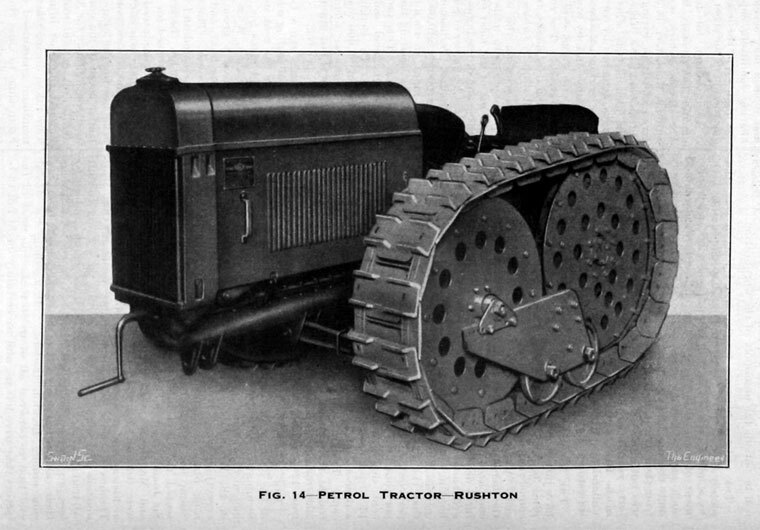 Ferguson had considered using the Rushton for his hydraulic system but this didn't materialise. Wheeled and crawler type tractors were manufactured but the project failed and the company went into receivership in 1932. This page was last edited on 4 May 2018, at 08:32.